Hello and Welcome to the Mad On Music Web Site. 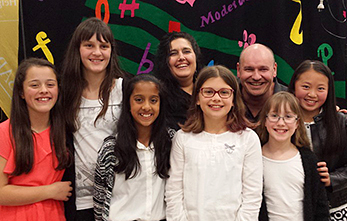 Mad On Music are a quality music program offering group lessons of Keyboard, Guitar, Singing, Choir, and Recorder to primary school aged students in 18 Primary schools throughout Melbourne. Mad On Music pride themselves on being a quality foundation program that provides students with a solid musical grounding, equipping them with all the relevant skills. This is our love and our passion and we are committed to offering a fantastic and vibrant program to primary schools in Melbourne Victoria. We love what we do and only employ quality teachers with a passion for teaching and children. These are the people who make up the Mad on Music team. Mad on Music’s success is attributed to quality music teachers & Sally our experienced office staff member. Mad on Music also have some fantastic people in our extended team. Mad on Music are where we are today because of caring and dedicated teachers, and loyal staff who share in the belief of caring and giving your job 100% effort. Here it is! The annual Mad On Music Concerts Section. Here's where we are showcasing what our students can do. We invite you to look at the ‘Mad On Music’ collection of photos from our previous concerts. Check them out! Schools Pack - Ready for Download!! 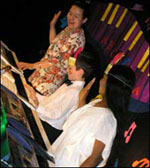 Are you interested in having Mad on Music teach in your School? We have our school pack available, which explains the program in detail. The information provided is comprehensive, and is of most help to Principals, Teachers, & Music Coordinator’s who are interested in implementing a quality program such as Mad on Music into their school. Please do not hesitate to contact us if there are any questions you may have. Learn about the program. Enrol your child today! 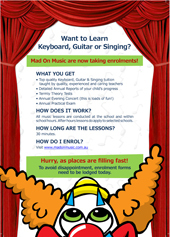 Mad On Music is ready and waiting to begin a new journey with you and your child! You would have received a brochure from your school that has prompted you to visit our Website today. Enrol online today! Mad On Music now has a Facebook page. Please visit the page to leave any positive feedback, or upload your favourite MOM pic. Everyone is invited to like the Mad On Music Facebook page. Mad On Music Facebook’s page is only viewable in Australia.